I couldn’t help being a bit naughty and taking a few snaps here and there – what can I say, she’s too beautiful not to photograph. 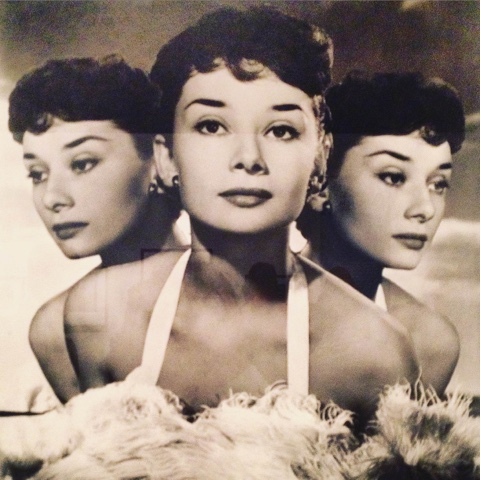 The exhibition, while not huge, perfectly captured Audrey’s highs throughout her life and career. I’d seen most of the photographs before but it was naturally striking to see so many of them in an essentially chronological order. Stylewise for me there are essentially two Audreys: 50’s Audrey and 60’s Audrey. 50’s Audrey is super girlie and pretty, with lots of full skirts and stunning dresses, whilst 60’s Audrey is edgier and more playful. One could say that the images I captured were some of my favourites – but having had the chance I would have photographed all of them! 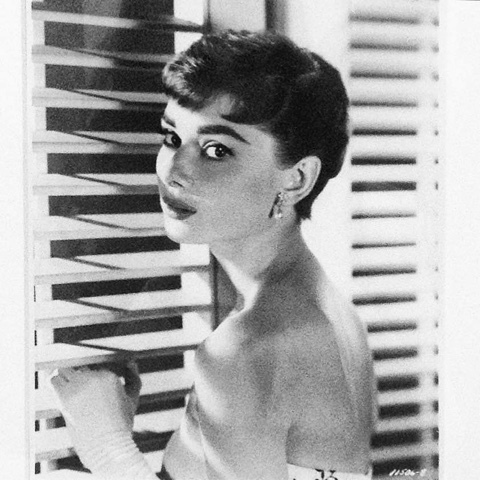 Personally I find Hepburn’s eyes mesmerising… she was a breath of fresh air in comparison to the 40’s and 50’s bombshell look, and her gamine beauty would define the aesthetic of the following decades. 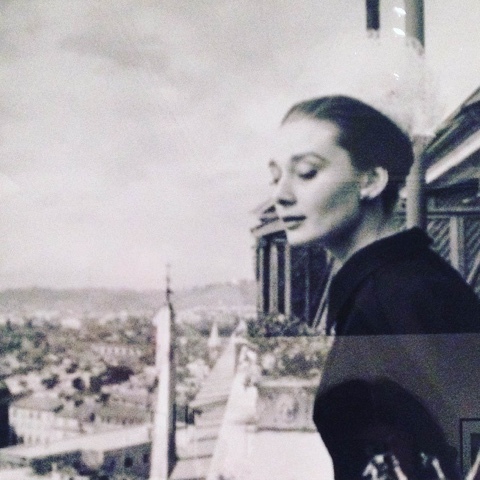 This image of Audrey in Rome by Cecil Beaton sums up her effortless elegance. 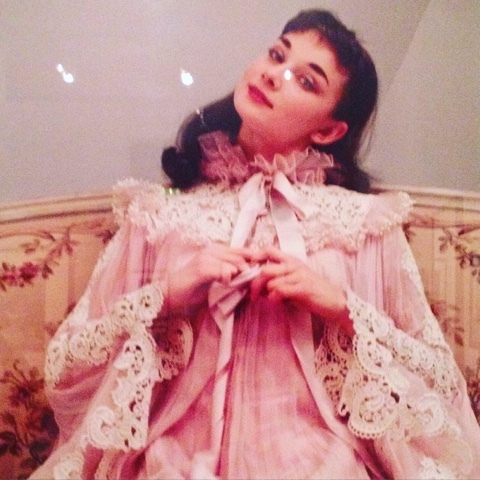 I think this is the girliest (and pinkest) I have ever seen Audrey be – this image was taken by Norman Parkinson whilst she played Gigi in New York in 1952. 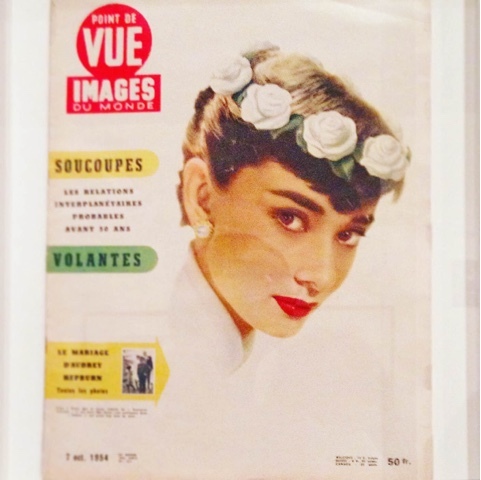 The exhibition featured a vast compilation of magazine covers featuring Audrey Hepburn throughout the years – they were all amazing in their own ways, but I truly loved her Vanity Fair cover. She aged so gracefully and proved that old age need not make a woman any less beautiful. 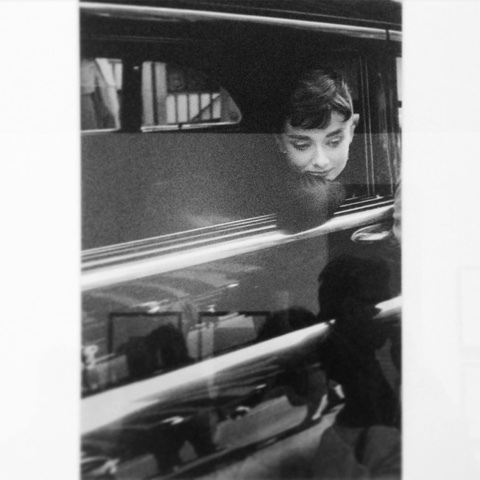 What is the enduring appeal of Audrey Hepburn? Yes, she starred in some of Hollywood’s most memorable films, was beautiful in a refined and exotic way, started long-lasting trends, became the essential definition of chic and earned herself the title of fashion icon. But I truly feel there is something about her that goes way beyond her looks and effortless style. 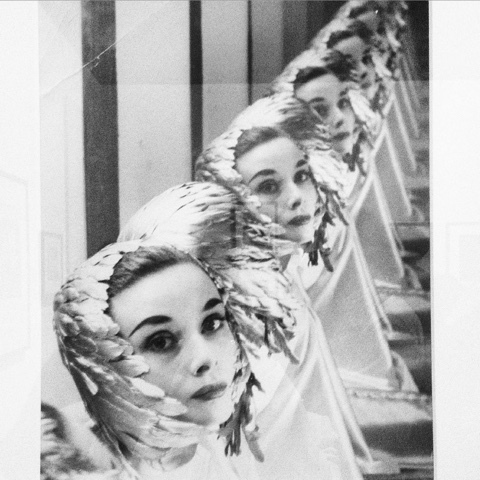 Audrey was pure class, which is sometimes so missed in today’s celebrity culture. She did not have an easy childhood, and experienced heart break throughout her adult life too. But she fought back, and really did seem to give a damn about others. She was inmensely dedicated to her charity work – of which the exhibition included imagery of too – and her resilience and dignity throughout her personal ordeals made her all the more admirable. She had beautiful genes, but it’s her innate sense of elegance and humanity that will never let us forget her. She sadly left this world too soon, but boy, what a full life she lived. Did any of you peeps see this exhibition too? If you don’t happen to live in London and had no way of seeing it, I would recommend checking out all those beautiful photo books that are out there of the star – I’m sure you will feel as inspired as I felt when leaving the exhibition. 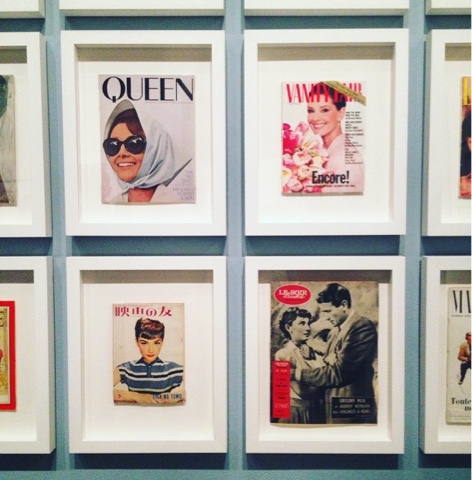 All photographs taken by me on October 16th, 2015 at The National Portrait Gallery, London.